Since I'm not in the habit of reviewing products, when I do it's usually because I've found some I think is exceptional. That can be hard, though, because equipment are tools, and sometimes one that excels in one aspect of their job can fall short in another. And yet still be worth considering because of its unique strengths. 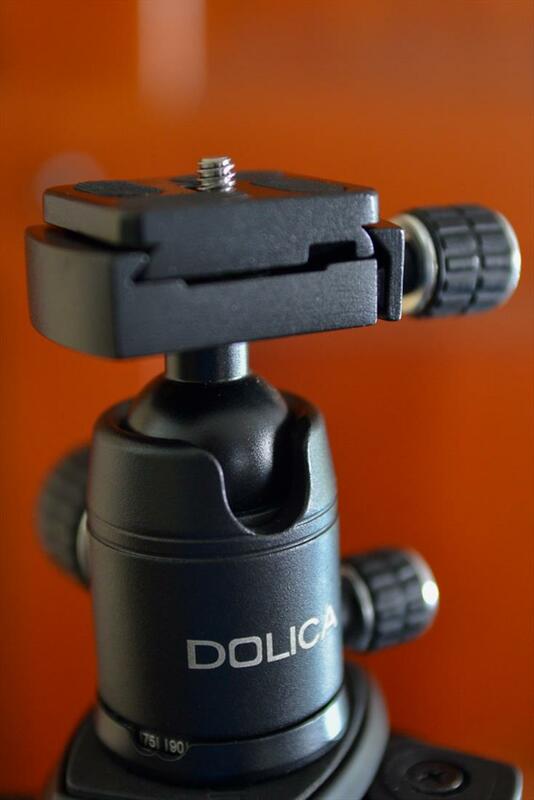 That is the case with the Dolica TX570B150SL Ultra Compact Tripod. This unit it compact. It measures 12.5 inches folded yet extends to 57 inches. It's also surprisingly elegant and well thought-out. The leg locking mechanisms are handsome and work well-- they won't sink under the weight of a Nikon D600 with 80-200mm lens, and that's not light. The ball head, too, is sturdy: it held that lens on the vertical. I also like that it comes with a weight hook so you can attach your sand (or camera) bag to the center column. This is especially handy, given its weaknesses. The Dolica is a slender unit, and that means that fully extended it will pick up the vibrations and continue to shake long afterwards. My 80-200mm f/2.8 really isn't any steadier than in my hands. More reasonable lenses do better-- and weighting the unit from the center hook helps-- but this is not meant for long-exposure night time photography. Frankly, I wouldn't slow the shutter past 1/20th of the second under the best of circumstances. 57 inches has its limitations as well. With the camera on top, your lens is right about 5 feet high... which might be eye level for your average adult female, but short for a male portrait. It's a limited tool, but that doesn't mean it has no use. If the conditions aren't too challenging, it's an efficient way to get the camera off your face. It can go quite low to the ground (much lower than my regular tripod). At faster shutter speeds it's useful for bracketing exposures; if you're lens isn't huge you can accomplish moderately slow shutter speeds. It's small enough to throw into a suitcase or leave in the trunk of your car. And for a $70 tripod, you really can't find much better. Another added bonus is that you can swap out the ball head for another. I'm using my Sunpack 620 trigger ball head which not only adds a couple of inches but is easier to use. I've kept the Dolica ballhead (worth $25 by its lonesome) for my lights and other accessories. Comes with a decent bag, too. If you're only going to own one tripod, this isn't it. Spend a minimum of $120 and get something that will put a crick in your neck carrying it. 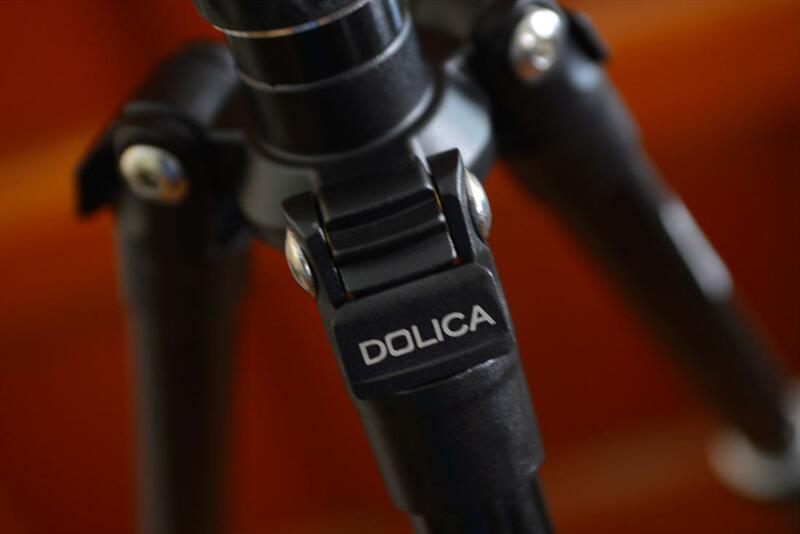 When I want the perfect shot, I'm still going to drag my big tripod behind me, but if I'm not sure I'll need a tripod, the Dolica is a smart backup.